The Islay Whisky Festival comes around once a year and falls on the last week in May. 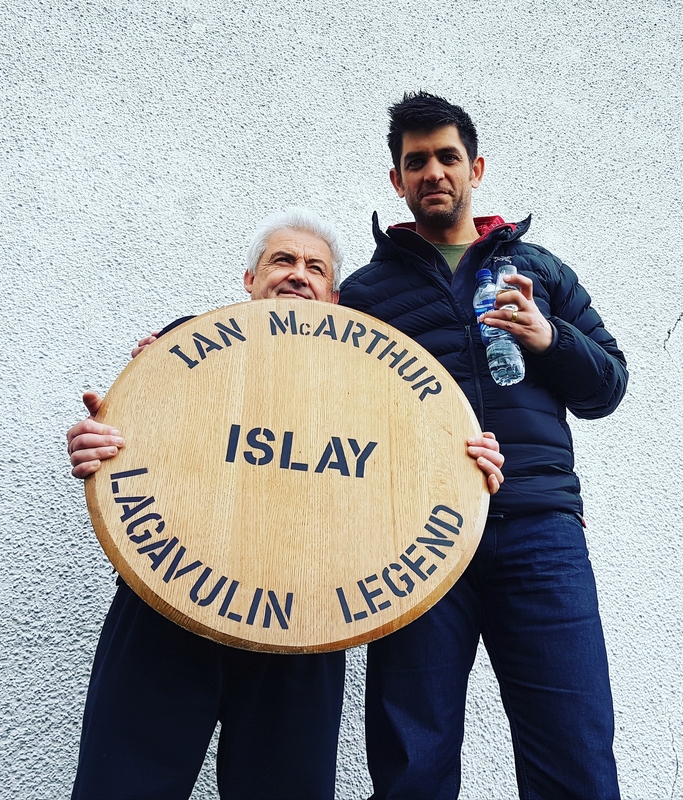 During this fantastic celebration of all things Islay whisky, thousands of excited enthusiasts make their way to the magic Isle of Islay for a week of whisky events, tours, tastings and masterclasses. It is difficult to measure how many extra visitors, and how much extra income, the island gets due to the festival but it is commonly thought the island population rises from 2000 to over 10000 during the Festival week, in no means insignificant for the economy of the island. Each of the 8 malt whisky distilleries and Jura distillery too, have their own dedicated festival day. There is some overlap, Bowmore day is also Bridgend Square day and Islay Ales and the other businesses there also arrange events and enjoy a busy day of music, drams and general merriment. We love the Islay Whisky Festival and as well as hosting whisky and gin tastings and events in Leek, Staffordshire and throughout the UK, we will always host Islay whisky tastings at the Islay festival in the years to come. Each distillery publishes their festival events and releases tickets a few weeks before the Feis week. Most put on extra tours, special tastings and masterclasses and also other activities such as fast RIB boat rides and special guided water source walks. As the festival has become more and more popular, tickets tend to sell out faster, especially at the Kildalton distilleries of Ardbeg, Lagavulin and Laphroaig, it is not unusual for all tickets to sell out on the first day of release. So if you are looking to attend an event, you’ll need to be quick! To celebrate the festival, each distillery has a special, limited release whisky bottling. In recent years, because the festival has become so well attended, these releases are not as small batch as they used to be. Only 5 or 6 years ago, distilleries were able to release single cask bottlings which enthusiasts would snap up and quite often sell at a profit on auction sites. Now distillers have decided to increase the size of the releases in an attempt to ensure that there are enough to satisfy the demand of visitors. There are still a few gems to be discovered though. During Feis Ile 2017 Bunnahabhain released a run of only 1596 bottles. The peated spirit was distilled in 2004 and matured in American oak and then transferred to port pipes for a short finishing period. The resulting whisky, ‘Bunnahabhain Moine Port Pipe Finish’, as well as being a beautiful dram, was also a real small batch rarity for festival visitors to buy, and very good value at £95. As well as official distillery bottlings, it is now not uncommon to find festival releases from independent bottlers who arrange events during the festival. Quite often visitors arrive on the island during the festival only to find that all the distillery events are full. 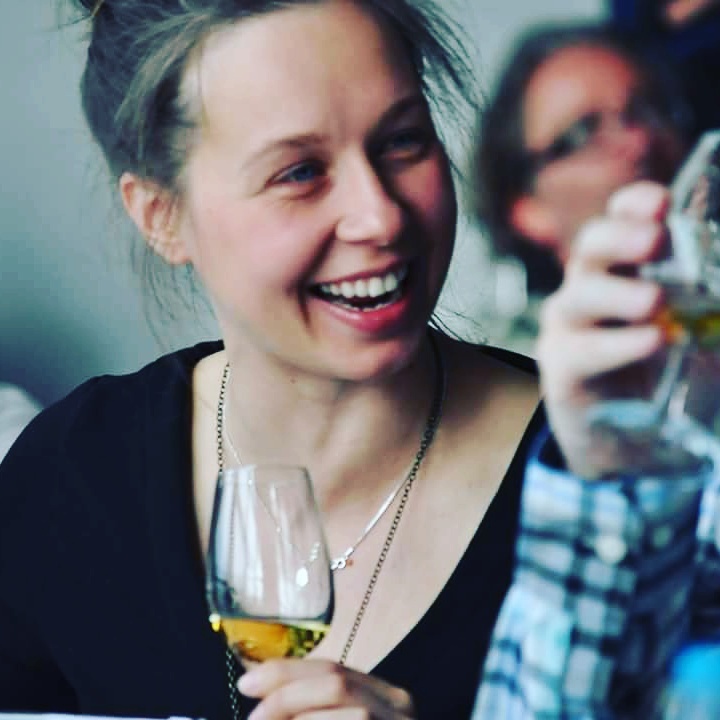 The independent bottlers, who only promote Islay whisky during the festival, are often able to accommodate these visitors on their tastings and masterclasses and therefore offer a valuable addition to the Festival. I became Distillery Manager of Caol Ila Distillery in 2013 but before that, in 2008, I began releasing my own Islay Festival bottlings for the Queen of the Moorlands Single Malt Whisky brand which I owned at the time. The first was this delicious 1982 26 year old Caol Ila single cask whisky, which was to be the first ever independent Islay festival bottling. In late Autumn 2015, I decided to leave Caol Ila and to start my own customer facing whisky events company, Distilled Events. This year this gave me the opportunity to arrange my own events at the whisky festival, and with the help of friends on Islay, we held two very well attended masterclasses at the Gaelic College in Bowmore. I was incredibly surprised and pleased at the support that my friends in the whisky industry were willing to give me. Guests were treated to ‘As We Get It Islay’ from Ian Macleod Distillers, an incredible pair of drams from Wm Cadenheads in the form of a 26 year old single cask Caol Ila and a 16 year old single cask Bowmore. Port Askaig Malts supplied us with a great young peaty dram, Port Askaig 8 year old, and just like ‘As We Get It’ the cat was really amongst the pigeons with guests arguing about the provenance of these tasty whiskies. From Chorlton Whisky we had an awesome 23 year old single cask Bunnahabhain which, just like all the other drams on show, went down a treat with our guests. We are already making plans for our events at the Islay Whisky Festival 2018, the months will slip away and before we know it we will be enjoying festivities once again on Islay. Keep an eye on our tastings and events page and also on our Distilled Events Facebook page and you will then be able to buy tickets online once they are released. We also arrange bespoke Guided Islay Distillery Experiences throughout the year, taking groups of enthusiasts to Islay on 5 or 7 day whisky trips packed with tours, tastings and masterclasses and enjoying all that Islay has to offer. If you are interested in joining us on a trip or if you would like more info about our bespoke Guided Islay Distillery Experiences, please click here. Here are some pics from our events at the Islay Whisky Festival 2017. Enjoy. Every fan of whiskey must visit this festival and take part in many of its events in order to learn more about this drink.